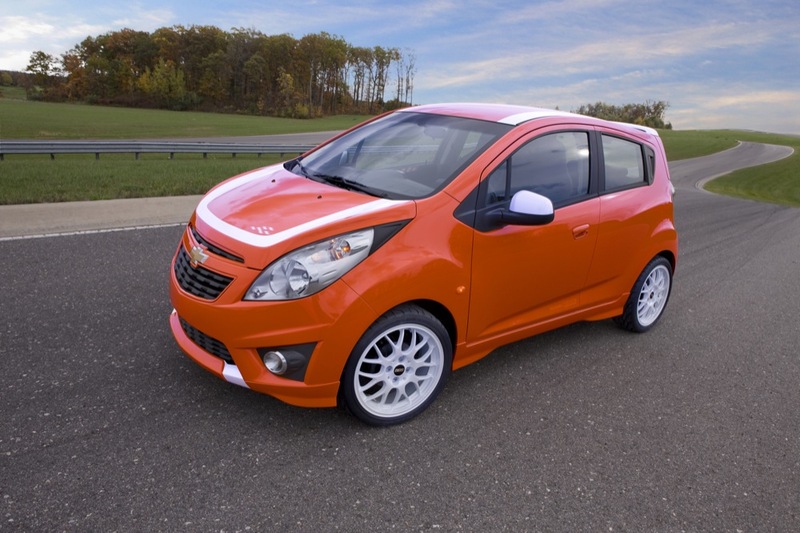 Here’s something intriguing: a Chevrolet Spark is in Las Vegas. Looking very orange. 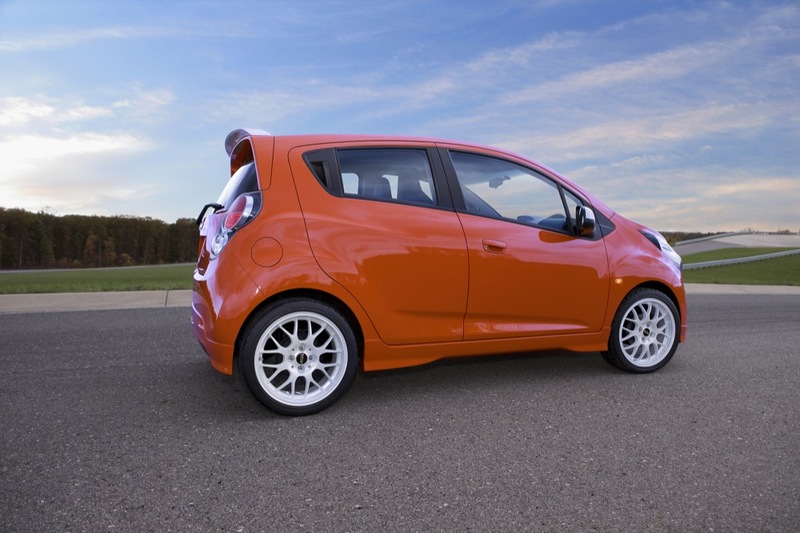 Mechanically, the car is the same as any other Spark we know of. However, aftermarket accessories are about as abundant here as bark is on trees. Outside we see custom grille inserts, an accessory spoiler (on top of the stock spoiler,) “Icy White” mirror caps and BBS 17-inch wheels to match. 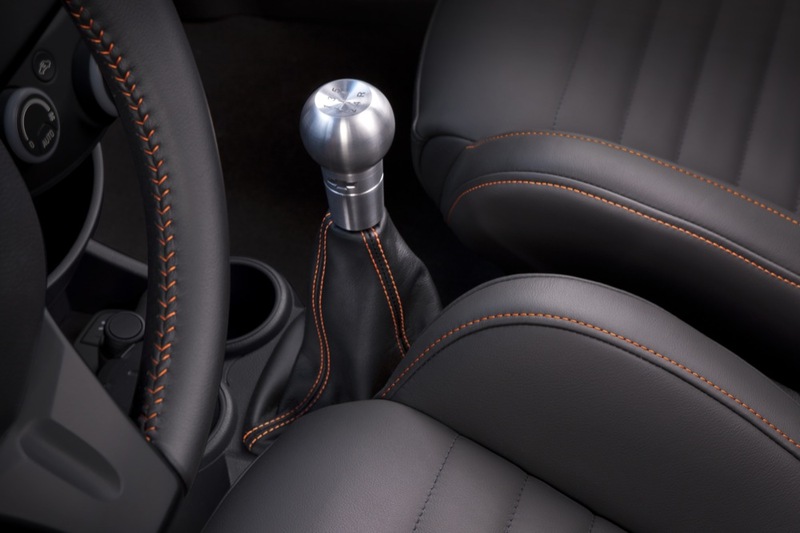 Gaze into the interior and behold embroidered front and rear floor mats, Recaro (yes, Recaro) racing seats in the front, an aluminum shift knob and orange stitching. If only we didn’t have to wait until 2012 to get fresh with the Spark. For more check out our high-res gallery and the presser below. 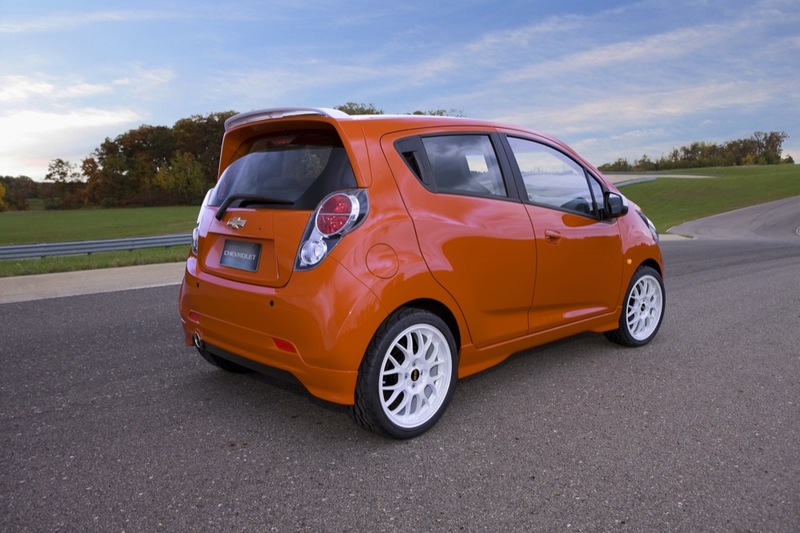 Chevorlet is one of the car i love to have..its excellent. Drop a small V-6 in there & you’d have quite a little demon! I’m curious to know why the General won’t be bringing the Spark here till the latter part of 2012? Are they going to be building it at the Orion facility since the UAW accepted the lower pay wage (albeit, they’re not happy with the two tier system)? I’d like to get one as soon as possible.